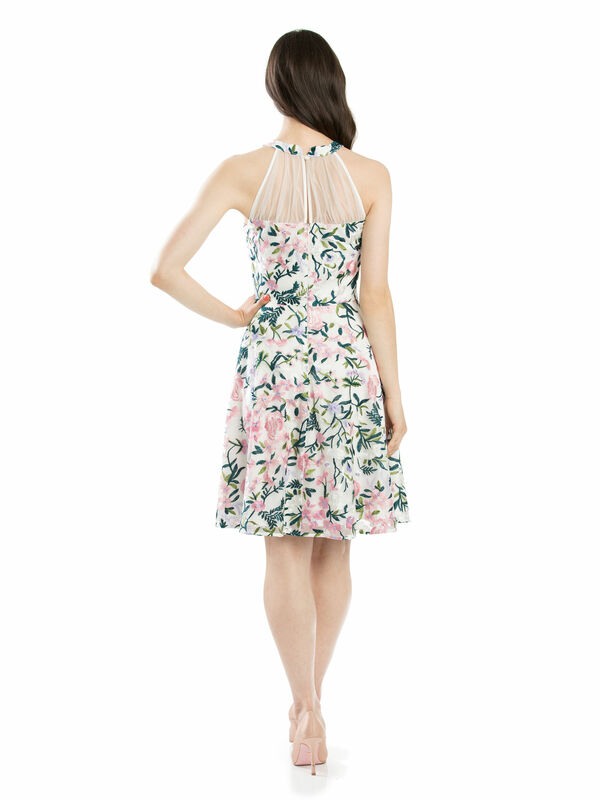 Full Bloom Dress https://www.review-australia.com/au/full-bloom-dress-multi/RE19DR268.RECRM010.html Party season flowers into full bloom with this romantic dress. A fit and flare style, the floral dress has an a-line skirt that flows in soft pleats to the knee. The fitted bodice features a sheer georgette yoke and halter neck band. The dress is fully lined and features a keyhole back and invisible back zipper. Party season flowers into full bloom with this romantic dress. 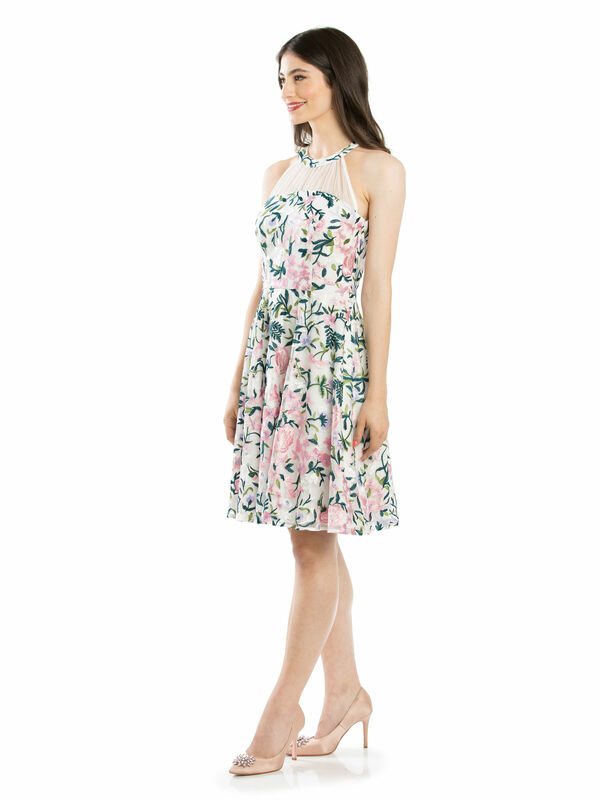 A fit and flare style, the floral dress has an a-line skirt that flows in soft pleats to the knee. The fitted bodice features a sheer georgette yoke and halter neck band. The dress is fully lined and features a keyhole back and invisible back zipper. Full Bloom Dress is rated 5.0 out of 5 by 15. Rated 5 out of 5 by Summer dress from Such a pretty dress, great fit too I bought this dress, along with 3 others in your Melbourne store last month. Every dress I tried on fitted me a treat. I love the neckline details of this dress, so unusual and feminine. The colours are really pretty and the dress looks amazing on Have bought this for a summer wedding in the UK, so haven't worn it yet, but can't wait! Rated 5 out of 5 by Keerahh from Flattering and Fun I was looking for a pink dress for a Valentines Day date and had left it till the last minute... I tried a lot of dresses on and none of them quite fit what I wanted. As soon as I tried this one I was sold. Flattering, slimming, pretty, comfy... it was such a perfect fit. Rated 5 out of 5 by kylz89 from Beautiful features! I bought this 2 weeks ago and I love love love it!!! It is very elegant and comfortable to wear! Got a lot of great compliments about how beautiful it was. Would definitely recommend this dress for either a formal or cocktail wear.